Our campsite and holiday homes are situated on a family working farm, there are resident, ducks, ponies, goats, pigs, and cows, making it perfect for families. We are situated within the purbeck hills. There are plenty of picturesque walks around the East Creech Farm, along with stunning views of the purbecks. 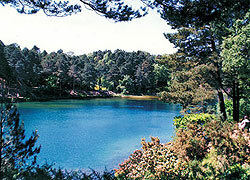 We also have three fishing lakes, ideal for those wishing to relax during their stay. There are many local attractions close to the campsite, and below are listed a few of the most popular. Feel free to enquire at the reception for more details. Dorset Waterpark is a Woodland Water Park spread over two lakes. 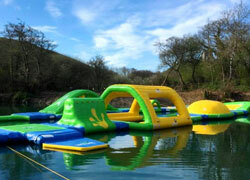 Each lake features different inflatable obstacles for you to tackle. They run 1 hour sessions (half an hour on each lake) for ages 6 and up. 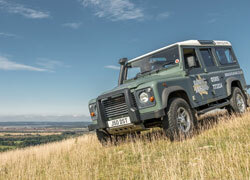 Sit back and relax on a Land Rover Safari off the beaten track for a taste of Dorset's secret beauty in the style and safety of the world's leading 4x4. 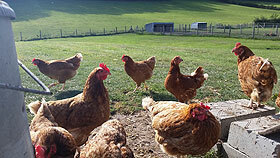 With views to some of the most spectacular views and wildlife the Jurassic coast has to offer. 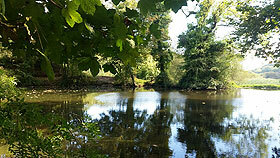 The Blue Pool at Furzebrook is a mile away from the campsite, and is surrounded by heath and woodland walks. There is a museum within the park, and also play areas for children, making it suitable for all age groups. 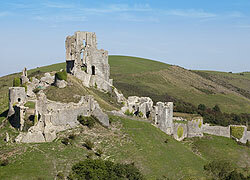 An iconic local addition to the Purbeck hills is Corfe Castle, built by William the Conqueror in the 11th century. 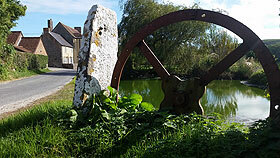 Situated in a beautiful village, it has much to offer for families, and also hosts various events throughout the year. 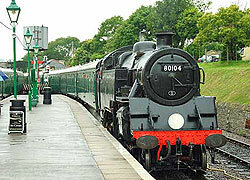 Just down the road from the campsite you can get a return journey aboard a steam train to the seaside town of Swanage. Swanage has much to offer nestled in its bay. Take a swim in the sea or a trip out to sea, or even for a bit of local shopping. Durdle Door is a naturally formed rock arch. It is an iconic feature of the Jurassic Coast, just along the coast from Lulworth Cove. The view of the arch from the beach is a very well know landmark in Dorset. The name Durdle is derived from the Old English "thirl" meaning bore or drill. 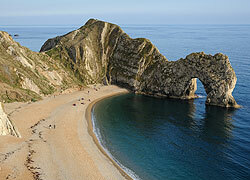 The breach is shingle and it is accessible via Lulworth Cove or Durdle Door Car Park.